I am an Associate Professor at the Department of Cognitive Science and Artificial Intelligence at Tilburg University, the Netherlands. I am mainly interested in studying language learning using computational models. My main area of research is modeling grounded language learning, the impact of interaction in language acquisition and processing, and developing tools and techniques for better understanding of emergent linguistic representations in (neural) models of language. Invited talk at Women in Data Science Conference 2019, Copenhagen, April 2019. Invited talk at the Computational Linguistics seminar, ILLC, Amsterdam, March 2019. Listen to Tal Linzen and I talking about the first BlackboxNLP workshop on NLP Highlights podcast, released January 2019. Area chair for ACL 2019. Received an e-Science Center/NWO grant for the project “Understanding visually grounded spoken language via multi-tasking”. Organizer of BlackboxNLP workshop at EMNLP 2018. Keynote at Workshop on Learning Language in Humans and in Machines, Ecole Normale Superieure, Paris, July 2018. Area chair for COLING 2018. Invited talk at the kickoff event for EcoGest project, Bielefeld University, Germany, February 2018. Seminar at ILCC, School of Informatics, University of Edinburgh, October 2017.- - Invited talk at 2nd Workshop on Language Learning at 2017 IEEE ICDL-EPIROB, Lisbon, September 2017. We won the best paper award at CoNLL 2017! Invited talk at Computational Linguistics Laboratory, University of Pisa, titled “Generalization patterns in a probabilistic model of argument structure acquisition”, Pisa, Italy, March 2016. Invited talk at the EMNLP 2015 workshop on Cognitive Aspects of Computational Language Learning, September 2015, Lisbon. Chair of the 19th Conference on Computational Natural Language Learning (CoNLL 2015) (with Alessandro Moschitti). Recipient of the NWO Aspasia grant, 2015. Recipient of the NWO Natural Aritificial Intelligence grant for the project Learning to Communicate via Social and Linguistic Interactions (with Paul Vogt and Emiel Krahmer). Tutorial chair of the 14th European chapter of the Association for Computational Linguistics (EACL 2014). Area chair of the Computational Models for Human Language Acquisition and Processing track, Empirical Methods on Natural Language Processing (EMNLP 2013). Invited talk at Center for Mind/Brain Sciences (CIMeC), University of Trento, titled “Child word learning from a computational perspective”, Rovereto, Italy, May 2013. Invited talk at SMART Cognitive Science Lectures, University of Amsterdam, titled “What computers can tell us about human language: the case of learning words”, Amsterdam, The Netherlands, October 2012. Invited talk at School of Psychological Sciences, University of Manchester, titled “Language learning as a unified probabilistic process”, Manchester, UK, October 2012. Invited talk at Institute of Psychology, Health and Society, University of Liverpool, titled “Language learning as a unified probabilistic process”, Liverpool, UK, October 2012. Area chair of the Computational Psycholinguistics track, 13th Conference of the European Chapter of the Association for Computational Linguistics (EACL-2012). Invited talk at ATILA 2011 meeting titled “A Bayesian account of the acquisition of abstract argument structure constructions”, Antwerp, Belgium, December 2011. Giving a talk at the Fourth International Conference of the German Cognitive Linguistics Association titled “The acquisition of abstract argument structure constructions from child-directed data”. Bremen, Germany, October 9, 2010. Co-offering a course at European Summer School in Logic, Language and Information (ESSLLI) on Computational Modeling of Human Language Acquisition. Copenhagen, Denmark, August 16-20, 2010 (with Afsaneh Fazly). Giving a talk at the Institute for Logic, Language, and Computation, University of Amsterdam titled “A Bayesian account of the acquisition of abstract argument structure constructions”. Amsterdam, Netherlands, May 19, 2010. Giving a talk at the RCEAL Tuesday Colloquia series, Research Centre for English and Applied Linguistics, University of Cambridge, titled Learning semantic roles from child-directed data: insights from a probabilistic model of early language learning. Cambridge, UK, April 27, 2010. Offering an ACL Tutorial on Computational Modeling of Human Language Acquisition. Singapore, August 2009. Organizing the Eighth IRTG Summer School in Computational Linguistics and Psycholinguistics. Kloster Irsee, Germany, June 2009 (with Matthew Crocker). Co-organizing an EACL Workshop on Cognitive Aspects of Computational Language Acquisition. Athens, Greece, March 2009 (with Thierry Poibeau and Aline Villavicencio). Grzegorz Chrupała, Lieke Gelderloos, Ákos Kádár and Afra Alishahi (2019). On the difficulty of a distributional semantics of spoken language. Proceedings of the Society for Computation in Linguistics. Ákos Kádár, Desmond Elliott, Marc-Alexandre Côté, Grzegorz Chrupała and Afra Alishahi (2018). Lessons learned in multilingual grounded language learning. Proceedings of Conference on Computational Natural Language Learning (CoNLL). Ákos Kádár, Marc-Alexandre Côté, Grzegorz Chrupała and Afra Alishahi (2018). Revisiting the Hierarchical Multiscale LSTM. Proceedings of the Conference on Computational Linguistics (COLING). Yevgen Matusevych, Afra Alishahi and Ad Backus (2018). Quantifying cross-linguistic influence with a computational model: A study of case-marking comprehension. Linguistic Approaches to Bilingualism, 8(5), 561–605. Ákos Kádár, Grzegorz Chrupała and Afra Alishahi (2017). Representation of linguistic form and function in recurrent neural networks. Computational Linguistics, 3(4), 761–780. Afra Alishahi, Marie Barking and Grzegorz Chrupała (2017). Encoding of phonology in a recurrent neural model of grounded speech. In Proceedings of Conference on Computational Natural Language Learning (CoNLL) (Winner of the Best Paper Award). Grzegorz Chrupała, Lieke Gelderloos and Afra Alishahi (2017). Representations of language in a model of visually grounded speech signal. In Proceedings of the 53rd Annual Meeting of the Association for Computational Linguistics (ACL). Yevgen Matusevych, Afra Alishahi and Ad Backus (2017). The impact of first and second language exposure on learning second language constructions. Bilingualism: Language and Cognition, 20(1), 128–149. Yeven Matusevych, Afra Alishahi and Ad Backus (2016). Modeling verb selection within argument structure constructions. Language, Cognition and Neuroscience, 31(10), 1215–1244. Ákos Kádár, Grzegorz Chrupała, Afra Alishahi (2016). Learning word meanings from images of natural scenes. Traitement Automatique des Langues (TAL), Special Issue on “Natural Language Processing and Cognition”. Moinuddin M. Haque, Paul Vogt, Afra Alishahi and Emiel Krahmer (2016). A connectionist model for automatic generation of child-adult interaction patterns. In Proceedings of the 38th Annual Conference of the Cognitive Science Society, Philadelphia, Pennsylvania. Grzegorz Chrupała, Ákos Kádár and Afra Alishahi (2015). Learning language through pictures. In Proceedings of the 53rd Annual Meeting of the Association for Computational Linguistics (ACL). Yevgen Matusevych, Afra Alishahi and Ad Backus (2015). Distributional determinants of learning argument structure constructions in first and second language. In Proceedings of the 37th Annual Conferene of the Cognitive Science Society, Pasadena, USA. 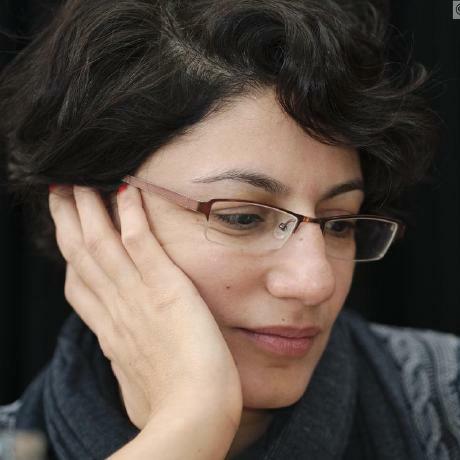 Afra Alishahi (2014). Lifecycle of a probabilistic construction. Theoretical Linguistics, 40:1-2, 77-88. Yevgen Matusevych, Afra Alishahi and Ad Backus (2014). Isolating second language acquisition factors: A computational model of bilingual construction learning. In Proceedings of the 36th Annual Conference of the Cognitive Science Society, Quebec City, Canada. Daniel Freudenthal and Afra Alishahi (2014). Computational models of Language Development. In P. Brooks and V. Kempe (eds), Encyclopedia of Language Development. SAGE Publications. Eva van den Bemd, Maria Mos and Afra Alishahi (2014). Does sentence structure boost early word learning? An artificial language learning study. Wiener Linguistische Gazette, Issue 78A. Thierry Poibeau, Aline Villavicencio, Anna Korhonen, and Afra Alishahi (2013). Cognitive Aspects of Computational Language Acquisition. Springer. Afra Alishahi and Suzanne Stevenson (2013). Gradual Acquisition of Verb Selectional Preferences in a Bayesian Model. In T. Poibeau, A. Villavicencio, A. Korhonen, and A. Alishahi (eds).Cognitive Aspects of Computational Language Acquisition. Springer. Yevgen Matusevych, Afra Alishahi and Paul Vogt (2013). Automatic generation of naturalistic child-adult interaction data. In Proceedings of the 35th Annual Conference of the Cognitive Science Society, Berlin, Germany. Yevgen Matusevych, Afra Alishahi and Ad Backus (2013). Computational simulations of second language construction learning. In Proceedings of the Workshop on Cognitive Modeling and Computational Linguistics, ACL’2013. Afra Alishahi and Grzegorz Chrupała (2012). Concurrent acquisition of word meaning and lexical categories. In Proceedings of the 2012 Conference on Empirical Methods on Natural Language Processing and Computational Natural Language Learning (EMNLP-CoNLL 2012), Jeju, Korea. Afra Alishahi, Afsaneh Fazly, Judith Koehne and Matthew Crocker (2012). Sentence-based attentional mechanisms in word learning: Evidence from a computational model. Frontiers in Developmental Psychology. Afra Alishahi and Pirita Pyykkönen (2011). The onset of syntactic bootstrapping in word learning: Evidence from a computational study. In Proceedings of the 33nd Annual Conference of the Cognitive Science Society, Boston. Alexis Palmer, Afra Alishahi, and Caroline Sporleder (2011). Robust Semantic Analysis for Unseen Data in FrameNet. RANLP 2011, Hissar, Bulgaria. Afsaneh Fazly, Afra Alishahi and Suzanne Stevenson (2010). A probabilistic computational model of cross-situational word learning. Cognitive Science, 34:6, 1017-1063. Afra Alishahi and Suzanne Stevenson (2010). Learning general properties of semantic roles from usage data: a computational model. Language and Cognitive Processes, 25:1, 50-93. Afra Alishahi and Afsaneh Fazly (2010). Integrating Syntactic Knowledge into a Model of Cross-situational Word Learning. Proceedings of the 32nd Annual Conference of the Cognitive Science Society, Portland, Oregon. Grzegorz Chrupała and Afra Alishahi (2010). Online Entropy-based Model of Lexical Category Acquisition. Proceedings of the 14th Conference on Computational Natural Language Learning (CoNLL), Uppsala, Sweden. Afsaneh Fazly, Fatemeh Ahmadi-Fakhr, Afra Alishahi and Suzanne Stevenson (2010). Cross-situational Learning of Low Frequency Words: The Role of Context Familiarity and Age of Exposure. Proceedings of the 32nd Annual Conference of the Cognitive Science Society, Portland, Oregon. Afra Alishahi (2010). Computational Modeling of Human Language Acquisition. Synthesis Lectures on Human Language Technologies, Morgan & Claypool. Afra Alishahi and Grzegorz Chrupała (2009). Lexical category acquisition as an incremental process. Proceedings of the CogSci2009 workshop on Psychocomputational Models of Human Language Acquisition, Amsterdam, Netherlands. Afra Alishahi and Suzanne Stevenson (2008). A computational model for early argument structure acquisition. Cognitive Science, 32:5, 789-834. Afra Alishahi, Afsaneh Fazly and Suzanne Stevenson (2008). Fast mapping in word learning: What probabilities tell us. In Proceedings of the 12th Conference on Computational Natural Language Learning, Manchester, UK. Afra Alishahi and Suzanne Stevenson (2007). A cognitive model for the representation and acquisition of verb selectional preferences. In Proceedings of the ACL-2007 Workshop on Cognitive Aspects of Computational Language Acquisition , pages 41-48, Prague, Czech Republic. Afra Alishahi and Suzanne Stevenson (2007). A computational usage-based model for learning general properties of semantic roles. In Proceedings of the 2nd European Cognitive Science Conference, Delphi, Greece. Afra Alishahi and Suzanne Stevenson (2005). The acquisition and use of argument structure constructions: a Bayesian model. In Proceedings of the Second Workshop on Psycho-computational Models of Human Language Acquisition (ACL 2005), pages 82-90, Ann Arbor, Michigan, USA. Afra Alishahi and Caro Lucas (1998). An Automatic Fuzzy Clustering Approach to Concept Retrieval and Classification of Unstructured Documents, accepted in JCIS98, North Carolina, USA. Afra Alishahi and Caro Lucas (1998). A Hybrid Neural Network for Concept Clustering. Irano-Armenian Workshop on Neural Networks, Armenia. Caro Lucas and Afra Alishahi (1997). An Intelligent System for Presenting Distributed Statistics, Proceedings of 6th Conference of Information Technology in Iran Power Industry, Tehran, Iran. Afra Alishahi and Ramin Ghourchian (1996). Applying Non-deterministic Algorithms in Simulation of Food Finding of Ants. In 17th Seminar of Intelligent Systems, ISRF, Iran.